SSTIKS is now open for registration. Please fill out the registration form once for each attendee! If there are four in your family, we need you to fill out the registration form four times – once for each person. Please note that all attendees, whether they participate in on water classes or not, must register and pay. 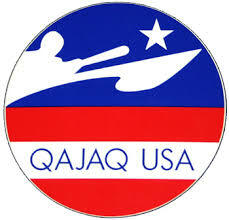 SSTIKS is supported by QajaqUSA, an organization dedicated to promoting and preserving traditional paddling worldwide. Please consider joining QajaqUSA when you register for SSTIKS. This year’s registration includes catered lunches (Friday, Saturday and Sunday), dinners (Friday and Saturday). Breakfasts are in your own. Early arrivers Thursday can participate in informal potluck. Code If you are an invited Mentor, please enter your mentor code here. This is how we will contact you. SSTIKS does not share your email with anyone for any reason. You are not required to provide your age, but we would like to collect age information for Qaannat Kattuffiat, our Greenland parent organization who has asked us to collect age information. Your American Canoe Association (family or individual) member number. You are not required to have an ACA membership to attend SSTIKS. Having your number helps save SSTIKS money on insurance. Don Beale's Greenland paddle carving class takes place all day Friday. Space is limited to the first 7 to select this option. Registering here does not guarantee a spot. If spaces are exceeded, we'll contact you, refund your payment, and place you on the wait list. Contact Don Beale in order to determine best paddle dimensions for you. Unisex T-shirts are $15. If ordering a T-shirt please indicate the size. Mentors - please choose a shirt size! If not ordering a shirt, please leave this field marked ‘None’. Space is limited in the SSTIKS group camping area so please only bring tents (such as back packing tents) appropriately sized for the number of people in your group. After completing the PayPal payment, click Return to Merchant at the bottom of the PayPal form and you will be returned to this registration page. If you wish to cancel PayPal before completing the payment, click 'Cancel and Return to SSTIKS' at the bottom of the PayPal form.